It’s raining offers for Posani Krishna Murali these days. He surprised everyone with his performance as a car driver in Rana, Nayanthara starrer Krishnam Vande Jagadgurum. Earlier this year, he was seen in Ram Charan starrer Naayak and the film has reportedly changed his fate as an actor. 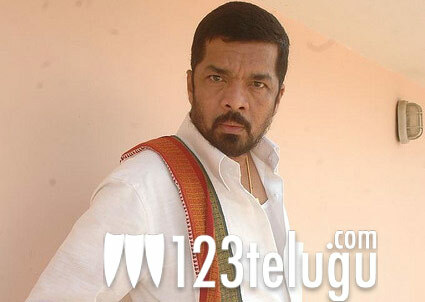 His role, although it was quite small, made so much impact that Posani ended up signing twelve new films within the next two days of Naayak’s release. ““I have signed 12 films in just two days after the release of Nayak. A Pawan Kalyan-Harish Shankar movie, Krish-Mahesh Babu starrer, K. Raghavendra Rao’s Intinta Annamayya, a film with Allu Arjun and a D. Ramanaidu production are among them,” Posani revealed to a leading newspaper. For a long time, he was associated with writing before he made the jump to become an actor. Now, he seems to be taking his acting career all the more seriously and the news does come as a sweet surprise considering how good he was in Naayak.